So You’re Ready to Buy a Home! First timers, move-up buyers, downsizers, everyone has a different reason to move. Purchasing a home can be a frustrating experience. Spend some time learning what you are about to undertake to reduce the stress and increase your chances of successfully purchasing the right property. Starting the treasure hunt for the perfect home is the exciting part! There are many resources to learn about homes for sale, ads in the newspaper, home magazines like this one, and of course the plethora of internet sites such as Realtor.com and berkshirehathawayhomeservicescentalwa.com. Attending Open Houses is a great way to "try on" different homes and see how they feel. Find an experienced Realtor to guide you through the process. They will help make sense of all the confusing jargon and can keep you current with the newest listings as they come on the market. How much house can you buy? You want to look at homes that fit your budget, and with today’s low interest rates, home buyers can purchase more home than ever with their housing dollar. Finding out how much you can borrow will keep you from falling in love with a home that is out of your price range. Find a good Loan Officer at a bank or mortgage company. They will crunch the numbers and provide you with a Pre-Approval Letter your Realtor will use to show a seller you have the good credit needed to complete the purchase. Once your offer has been accepted by the seller, then you must be certain the home doesn’t have any major defects. Hiring a competent Home Inspector will give you peace of mind. They will spend hours looking at the home and discovering any problems that property might have. You don’t want to get stuck replacing the furnace or doing foundation repairs, without knowing that’s what you are buying. Your Realtor will help you negotiate with the seller or decide if it isn’t the house for you. After you’ve completed the inspection, now sit back and wait. Your loan officer will have ordered an appraisal and will be organizing all the information you provided to submit to the loan underwriters. Once they have approved your loan, you are almost there! will be a proud new homeowner! When all your inspections are complete, and your lender has approved your loan, all the documents are sent to escrow to prepare for closing. You will sign a giant stack of papers and be told how much money you need to bring in to closing. The paperwork is double checked and verified to be correct, then the escrow agent will record the deed and you will be a proud new homeowner! Before you go house hunting, it’s a good idea to investigate your credit. Your credit score will determine your accessibility to lower interest rates and ultimately how much you will spend for a piece of property over the life of the loan. Being financially prepared to purchase a home is one of the first steps you want to take. So get busy to find out what your credit score is and how you may improve your score to secure the best lending options. The three main credit reporting bureaus are Equifax, TransUnion and Experian. We are all their clients whether we like it or not, for better or for worse. The good news is that the big three credit bureaus will issue you one free credit report per year. Simply visit the agency’s websites and obtain your credit score from all three agencies. These are the same companies that your home loan lender will be contacting, so give yourself a head start to correct what you can. In general, the higher your credit score, the more attractive your loan options will be. A good credit score determines what loan types are available to you, translates into a lower interest rate, and in some cases, a lower down payment. If you find your credit score to be less than what you need to secure a top quality loan, it makes good sense to do what you can to raise it before you purchase property. The credit score is a numbers game. It is made up of a wide range of factors from your credit history. Whenever you make on-time payments you are rewarded, and late payments get a credit score ding. One way to raise your credit score is to demonstrate you are a wise user of the credit that is available to you. Using your credit cards and paying them off each month can improve your score, as will having outstanding balances that are well below your credit limits. Do not close old or unused accounts. It is better to have zero balances on open credit lines than to have closed the accounts when paid in full. After less than a year of smart credit planning, your score will have improved and you are on your way to a better mortgage loan. Most importantly, pay at least the minimum payment each month on time. Nothing lowers a credit score faster than late payments. Avoid falling in love with a house that you can’t afford. One of the first steps your Realtor will encourage you to take is to find out how much loan you qualify for. They will refer you to a few good loan officers who will take you through the qualification process. Your loan officer will gather and review your financial records, including your credit report, job and income history and more. They will prepare a letter of Pre-Qualification or Pre-Approval that is required when you make an offer on a home. This document indicates the limit of your loan, the interest rate, and payment structure you may expect. Buying with confidence begins with understanding how much of a loan you qualify for and that there is a lender ready to back you. Take control of your credit by employing good financial habits and you will soon be in your new home. Is It Safe to Buy Now? You have heard that owning a home is better than paying rent. Is that different now? With the housing bubble that lead to the inevitable crash, many people have found homeownership to be challenging. The decision to buy a home should include a careful interpretation of the market conditions, but just as important is the thought given to your individual situation. No matter the market conditions, if you are planning to move in less than three years and would need to sell your home, then it likely makes sense to delay your purchase. There are countless benefits to owning your own home beyond the investment value. People enjoy being the master of their domain. Being able to make the decisions about how your home is maintained and improved is important. There is more pride of ownership evident in neighborhoods where most people own their home. Studies have shown that homeownership leads to more stability in families, and even higher test scores in schools. There is something about arriving home, after a long day at work, and being able to put your feet up and enjoy the satisfaction of relaxing in a home that is yours. Yet the financial benefits of homeownership are substantial and not to be overlooked. Today, renting a home is likely more expensive than owning one. Of course you pay for housing whether you own or rent, doesn’t it make more sense to pay down your own mortgage and not your landlord’s? Today’s uber –low interest rates make homeownership more affordable than ever. As home prices go up, rents increase, yet if you own your home, your house payments remain stable, and all the while your equity is increasing. When you add the tax benefits of owning a home, which can easily be a couple thousand dollars in your pocket each year, continuing to rent just doesn’t make sense! Yakima escaped the worst of the housing crisis. Our community didn’t experience the extraordinary rates of appreciation that created the bubble, and conversely, prices did not crash like larger metro areas experienced. The average price of homes in the Yakima Metro area reached a peak of $180,000 in early 2008, and since then average prices have oscillated between $165,000 and $170,000 depending upon the month. 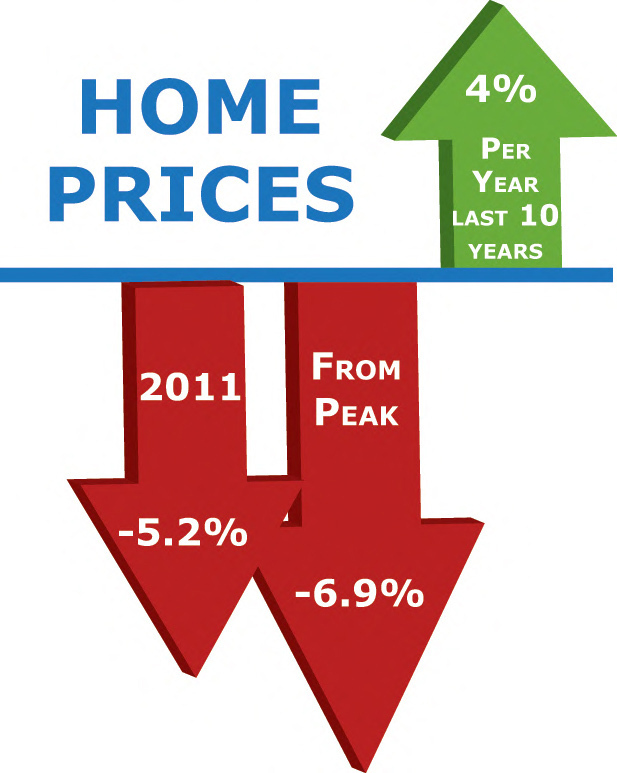 Entry level home prices are more stable, while luxury and high end homes have suffered larger losses in value. Nationally, many economists have called the end of the housing crisis, and most areas are witnessing a resurgence in both buying activity and price gains. Indeed, the worst of the housing crisis is likely behind us. Over the last ten years in Yakima the average price of homes has increased an average of 4% per year, and that includes the five years since the peak of the market. Historically, homeownership has been a hedge against inflation, with home values increasing faster than the value of a dollar decreases over time with inflation. 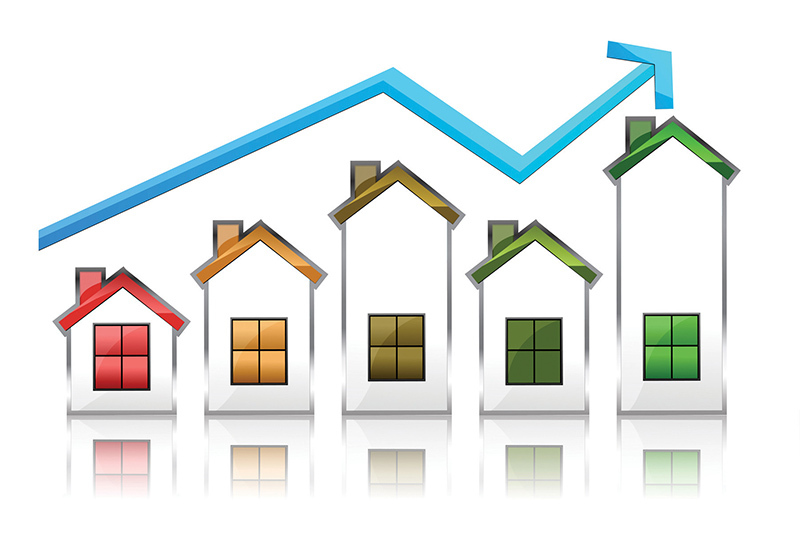 Learn more about the local real estate market by reading the Market Reports on our website. The assistance of a skilled real estate agent can help you evaluate a home you want to consider purchasing. They will research its market value to insure that you are not paying too much and warn you about characteristics that might affect its future value. This expert opinion can be extremely valuable when negotiating the price of your chosen home and will give you confidence that you are making a sound investment. The questions to ask yourself are, am I planning to stay put for a few years? Do I want stability in my life and; can I benefit from the financial advantages of homeownership? Buying a home may be the biggest purchase of your life, so you want to ensure your investment is worthy of its price tag.Hiring a qualified Home Inspector can save you thousands of dollars by finding unseen repairs and hidden expenses not visible when you do your walk through the property. Your Realtor will encourage you to make your purchase agreement contingent on your approval of just such an inspection. In Washington State, Home Inspectors are required to be licensed, meaning the inspector has completed the required education and passed a rigorous exam. Additionally they may also belong to a professional association, including the American Society of Home Inspectors, or ASHI. You don’t want to just rely on your brother-in-law who worked construction while in college. Hiring an inspector with the right experience and credentials can ensure you receive quality results. The cost of an inspection will vary from one company to the next, in Yakima we find prices typically range from $300 to $500 depending upon the type and size of property. This fee is paid at the time of the inspection. 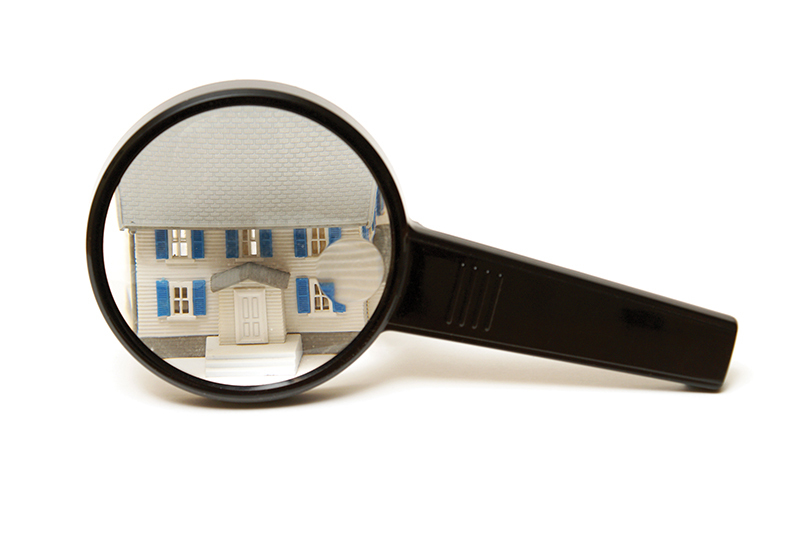 WHAT DOES A HOME INSPECTOR FIND? A Home Inspector investigates all the major systems and components of a home. From the foundation to the roof, they look for defects in construction as well as damage or deterioration that you need to be aware of. At the conclusion, the Inspector will provide you with a written report, augmented with pictures, identifying the findings of the inspection. 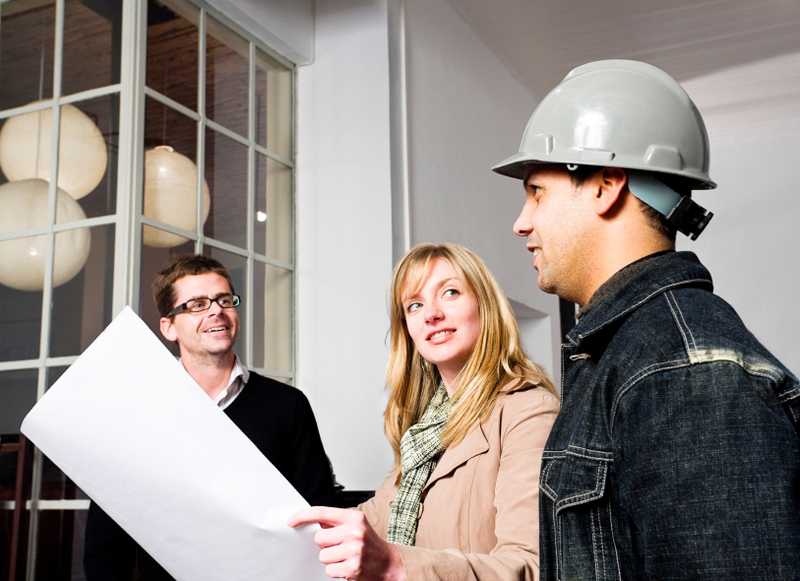 When you get the final report from your inspector, don’t be overwhelmed! All homes have areas of concern and even brand new homes can have defects that need to be attended to. Your inspection report will give you an unvarnished perspective on your chosen home, and allow you to decide if the current condition and required maintenance or repairs are things you’re willing to deal with. Of course you may learn of big problems and decide not to buy the home. Or there might be a few things that you ask the seller to fix, and if they agree, then you’re happy to buy the home. Your real estate agent’s advice and counsel is invaluable in helping to help you evaluate your options. You basically have three options at this point; 1) terminate your contract, 2) accept the home in its current condition or 3) ask the seller to repair certain items. With your Realtor, you will evaluate the results of the inspection and your expectations and needs regarding the condition of the property, and then decide how to proceed. Should you ask the seller to fix repairs, if they agree, great!, everyone moves forward. Alternatively, the seller can propose a different solution or they can choose to do nothing. The seller cannot cancel the contract, that option is yours alone. Plumbers, Electricians and Roofers, oh my! Your inspector may recommend that a particular system or component of the house be evaluated more closely by an expert. If, for instance, your inspector notices problems with the plumbing, he may call your attention to the issue, and instead of recommending a specific repair, he may suggest that a licensed plumber be asked to determine what the best remedy should be. Most property inspections are completed without the need to bring in these other experts, but when necessary, your inspector will identify those areas where the inspector is not able to fully evaluate the potential problem. You may need to bring in an electrician, a roofer or even a structural engineer if the inspector finds problems that are beyond his expertise. Many professional Home Inspectors, in addition to being licensed to perform these pre-purchase inspections of the entire home, also have the additional certification and licensing necessary to perform a Structural Pest Inspection of the property. In fact, if a Home Inspector does not hold such a license, they are limited in their ability to identify pest infestations. They can only identify the presence of rot or "conducive conditions", and are required to recommend further review by an individual with such credentials. Termites are the most famous wood chomping insects, but in fact there are many other types who may like to cohabitate with you, including carpenter ants, powder post beetles and the wily subterranean termites. Microbial pests can also damage homes. A Pest Inspector can determine the type of infestation and will recommend what repairs and treatments are required. The culprits may have come and gone, leaving only damage that needs to be repaired in their wake. When active colonies of wood destroying organisms are busy at work, then not only must the damage they have inflicted be repaired, but the proper application of insecticides is necessary to drive out the infidels. Fortunately we live in an area with relatively few infested homes. Areas with more moisture or other conditions attractive to bugs have more problems. In fact, in California, a Termite Inspection is required on every home sale. Hiring a Home Inspector that can also do a Structural Pest Inspection is often the best strategy, though that additional report may be an added expense. When you buy property, you want to know what is yours and what belongs to your neighbors. Realtors often are asked to point out the property lines. Sometimes there are survey stakes that indicate the exact corners to the property, but most of the time there is no definitive identifier of the boundaries. With the typical subdivision home, there may be a fence or landscaping that the current owner and their neighbors have been using as the approximate lines dividing their properties. Other times it is important to locate the exact property lines. The only way to know exactly where the boundary lines are is to have a survey completed. A current survey will mark the edges of the property and can identify potential problems before they become yours. Frequently fences will not follow the property lines exactly. In rare instances, structures may be built too close to or even across the lot lines. These issues identified by a survey will be addressed before the closing of escrow. Title Insurance may provide protection against property line disputes that arise after you own the property, depending upon the problem and the type of Title Policy provided by the seller. Both your Home Inspector and your real estate agent are not able locate property lines, only a surveyor can do so. In most sales there are no guarantees, after closing the home is yours and so are any problems that you encounter. 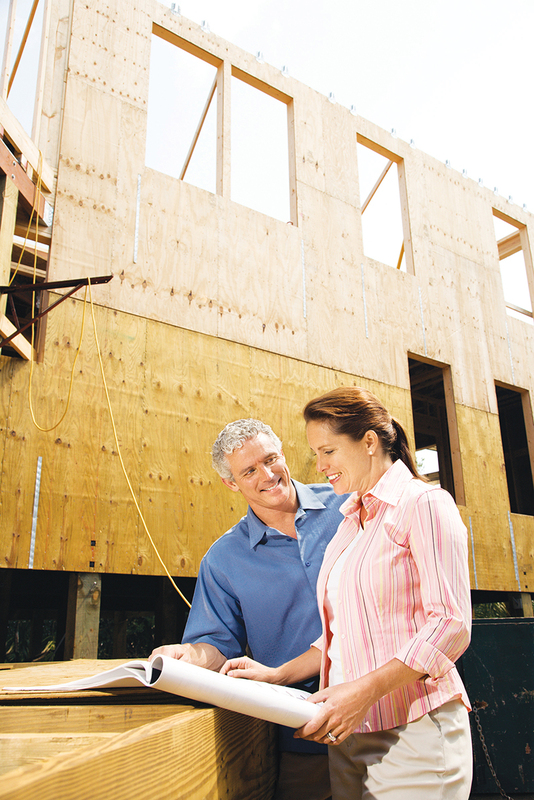 If you buy a new home, the builder may include a limited warranty, insuring you against some defects. With a used home, you can purchase a Home Warranty that will insure you against the cost of repairs of certain items and systems. These Home Warranties typically cover the homes systems such as the electrical and plumbing. The heating system, hot water tank and some appliances are insured also. Coverage can be added for pool equipment and air conditioners. Not covered are the structural components of a home, such as walls and foundation, as well as the roof and windows. Should a covered fixture or appliance fail, the Home Warranty will pay the cost to repair the problem, or if necessary, to replace it. DO I HAVE TO HIRE A HOME INSPECTOR? There is no law that says you must hire a home inspector before you purchase a property, but statistically you are financially safer if you do. Shelling out a few hundred dollars for your peace of mind is smart business sense for the big-ticket item you are about to buy. The savvy home buyer knows the value of the home inspector’s professional opinion and takes to heart all the sound advice he or she can get. Understanding all the home financing choices can be overwhelming. Taking the time to understand your options will insure that you get the best loan for your situation. There’s a mortgage plan that will help you accomplish your goals and meet your monthly budget. Where you get your loan can be as important as what loan you get. You want to find an experienced loan officer who can guide you through the qualification and loan approval process. Their knowledge and experience is critical, not only helping you choose the right type of loan, but also presenting your financial qualifications to the loan underwriters correctly to win approval. Your bank funds mortgages alongside all their other financial services. Many Credit Unions offer attractive terms for home financing. Mortgage Companies do one thing, make home loans, and typically have more options to choose from than banks. Be wary of online only lenders. These companies lure potential borrowers with promises of low fees. Getting the lowest cost mortgage is important, and you will find local lenders just as competitive. Real estate agents will tell you that these out of state lenders are unreliable and difficult to work with. They might be fine for a really easy loan, but those are rare in today’s lending environment. Better to have a local representative of a quality lender than to rely on someone you can only talk with by email or if you’re lucky and can reach them, on the phone. You can choose between a fixed interest rate, or select an ARM loan, where the interest rate can change over time. Fixed rates offer more stability where ARM loans typically start as much as 1% below the fixed rate. This savings can be significant, and advantageous if you plan on moving in less than 10 years. The length of your loan also impacts the amount of your payment, as well as the total interest you pay over the life of the loan. Most people still use the traditional 30 year mortgage, but at today’s ultra low interest rates a 15 year loan is an attractive alternative. A 15 year fixed rate loan can be ¾% less than a 30 year loan, and you end up owing your home outright much quicker. When borrowing money to purchase a home, the interest rate is just one consideration. There are upfront costs that vary by loan type. These charges are spelled out in the documents you get from your lender when you apply for the loan. The disclosure forms will list each fee and whether it is a fixed cost or can fluctuate with the sales price or the closing date. Many fees are for items ordered on your behalf by your lender, such as the charge for your credit report and an appraisal on the property. Regardless of which lender and what type of loan you choose, you will have to pay these. Other costs are set by the lender themselves, and may vary between different lenders and/or different loan types. This can include the loan fee, processing fees, loan discount points, underwriting fees and others. With all these fees and charges, it can be difficult to determine the true cost of a particular loan. When you start comparing loan offers between different lenders, it can become downright confusing. Among the many disclosures a lender is required to provide, one is to calculate the total cost of the loan, by combining the interest rate with some of the upfront costs. This is called the Annual Percentage Rate, or APR. Simply stated, this is the total of the interest paid over the life of the loan, plus charges such as the loan fee and discount points that you pay at closing. This is then divided by the amount you are borrowing resulting in the true cost of that loan. It is important to note that not all of your closing costs are included in this calculation. Only those costs that are considered a part of obtaining the loan are included. of home buyers in Yakima. Most people use conventional loans which can be less expensive over time, especially if you have enough cash for a 20% down payment, though they are available with down payments as low as 3%. VA and USDA loans are funded with zero down, but are only to be had for particular borrowers or properties. There are a number of down payment assistance programs offered to help first time buyers get into a home. CAN I GET ANY HELP OVER HERE? Each program has its own guidelines and requirements. Some have limits on the amount of household income you can have; others are targeted to certain locations. Learn more from The Washington State Housing Finance Commission. A good loan officer will be able to walk you through all the options and make you feel at ease to ask any and all questions you may have. Ask your Realtor or friends for referrals to experienced loan officers that you can count on to bring your dreams of homeownership to reality. Some things in life are a welcoming surprise, and some people thrive on that feeling of "winging it." A real estate transaction, however, isn’t something you should do on the fly. When you are buying or selling a piece of property, knowledge is power and answers are everything. All cards must be on the table to have a hassle-free transfer of property. Whether you are buying or selling, enlisting the services of a qualified and experienced real estate agent will insure a successful outcome. Your real estate agent together with an experienced loan officer will expertly guide you through the process and break down all the terms and conditions into layman’s language. You want a thorough understanding of your purchase contract and the contingencies. Knowing up front what each loan product means in terms of repayment, interest rate, and the difference between a steady fixed rate loan or an adjustable rate loan is key to obtaining the best financing for your situation. Understanding the fees for the different services needed to purchase a home is important. In addition to the down payment, you will need to pay for things like the appraisal, escrow and loan fees. Your loan officer will show you a run-down of what to expect come closing day. They are required to provide you with a Good Faith Estimate showing you all your closing costs. You can request the seller to pay for things you normally would as incentive for you to buy their house. Check with your agent for what would be fair to ask given current market conditions. The buyer and seller need to be on the same page with the closing agreements and have everything put into writing. There are no valid verbal agreements in the real estate game, so be sure your real estate agent has explained all the terms and conditions written in the contract. You can negotiate what items will be included in the sale, such as appliances, swing sets, curtains and the like. Title to the property is transferred to you when the deed is recorded. The seller will purchase a policy of Title Insurance guaranteeing that they have good title to transfer to you. This Title Insurance policy will protect you against others claiming ownership, unpaid liens or judgments, or problems with prior sales. Be sure your title policy comes with a Homeowner’s Endorsement, which provides more protection in the event of a problem. Closing day should be easy and painless. Everyone who has been working hard to help you make this happen will have their paperwork prepared. Your lender will send documents to the closing agent, who will prepare other forms and calculate all the numbers. They will tell you the amount you will need to bring to closing, either by wire transfer or cashier’s check. Both you and the Seller will sign massive amounts of paper, and after it has been reviewed to insure all is correct, the Deed and other documents will be recorded with the county. This is the official closing and when the home becomes yours. Your agent will have made arrangements to get you the keys to your new home. Now you get to move! There are advantages to buying both brand new construction and an existing home. Each comes with its own compromises and considerations. Usually it comes down to personal preference, but knowing the differences can help you decide which is right for you. Like a new car, there is nothing like being the first to live in a brand new home. You can be assured that all aspects of your new home, from the roof to the plumbing are in perfect condition. You won’t be spending weekends repairing leaky faucets or freeing up sticky windows. You may also get the chance to pick the colors of the carpet and paint in a new home. If you find a home that is still in the early stages of construction, or maybe it hasn’t even been started yet, you can change some features to meet your needs. Picking the cabinets and countertops that you love will insure you are buying the home that is just right for you. A new home does come with other factors not found with an existing home. New home neighborhoods are usually located on the outskirts of town and typically have on-going construction. Your house is likely not the last one being built, providing you the pleasure of continuing construction activity for a number of years. Your new home won’t have curtains or blinds, and while there may be some grass planted, typically landscaping provided by the builder is minimal. Fences, underground sprinklers and other features will likely fall on your shoulders after you move in. Existing homes come in the widest array of styles and methods of construction. From turn of the century classics or mid century modern, to the current designs of a "nearly-new" home built within the last ten years, you get to pick what fits your style. The character and charm offered by existing homes is hard to come by in the cookie-cutter new construction neighborhoods. 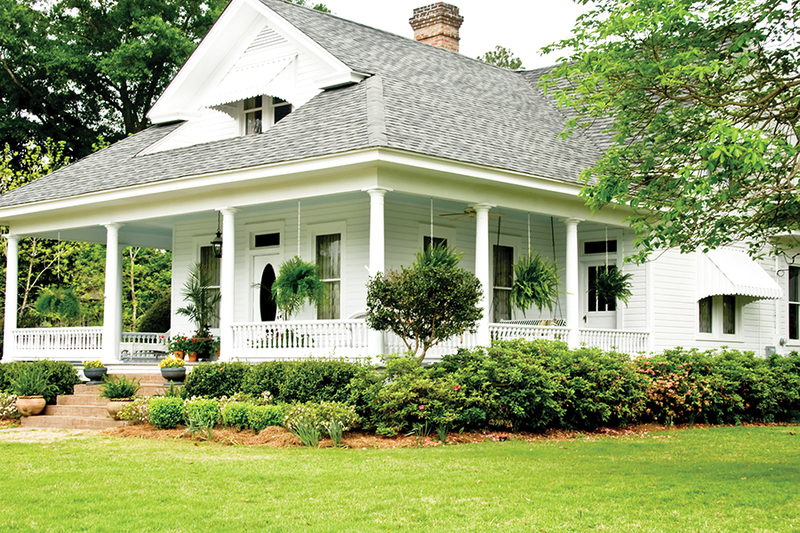 Whether you’re entranced by a Victorian, or yearn for a big front porch and columns of a Craftsman, there are many architectural styles to choose from. Established neighborhoods have their own attractions. A tree lined street where the homes all have mature landscaping can be just what you’re looking for. Often older areas have a variety of construction styles, which makes for a more interesting walk with the dog through the neighborhood. Older homes come with maintenance requirements, and some homes may need things like the roofs or furnace replaced as they wear out. Older construction methods and materials can have their own peculiarities and maintenance requirements. These houses may also be less energy efficient without modern windows and insulation. Of course there is always the attraction of a fixer-upper, where you can earn sweat equity quickly by doing the work yourself. Knowing what you are looking for in a home can help you decide if a new home is right for you or if the advantages of an existing home fit the bill. Sign Up for Property Watch and Find Your Dream Home Faster!